Today seemed like it would be a great day of exploring Brunei's capital. 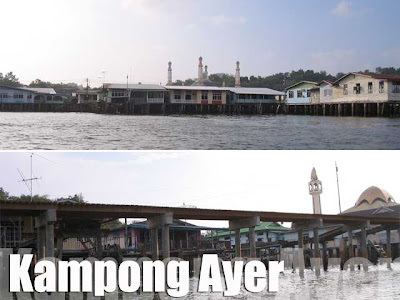 After the procession and a filling brunch, I took a river taxi (they're like sports cars on water) to Kampong Ayer, a centuries-old settlement in Brunei with houses on water. At first, they looked like our slums in Manila. 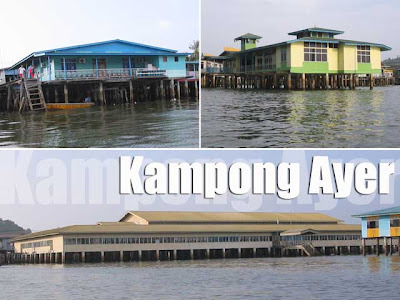 But nope, these are the old heritage houses of Brunei. They are even more well-equipped than the regular Filipino home with air-conditioning, Internet access, plumbing and electricity. You'd see a lot with their own satellite dishes! The community has it's own elementary and high school, fire station (since fires are a problem given that most houses are made of wood and close to each other), police station, and mosque. There are a total of 4,200 structures built on top of the water, linked by 29,140 meters of foot bridges. 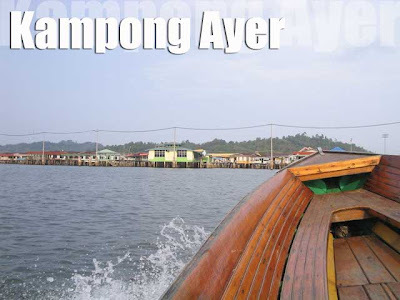 At total of 30,000 people live in Kampong Ayer, which is 10 percent of Brunei's population! That's it for today. I could already hear the call to prayer from the nearby mosque (which sounds very much like a male version of our own pabasa).